Hello, lovelies~ I know I haven't done a BB Cream review in a long while, I just have been more into foundation lately. Probably because of the shade. This BB cream is packaged in a light blue squeeze tube with the butterfly on the label. This squeeze tube is compact to be carried around in a makeup bag. The shade I bought is number 1 in Natural. 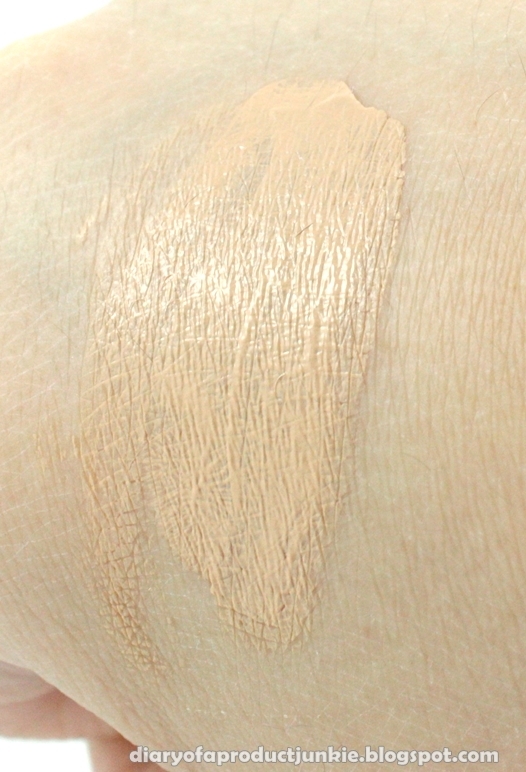 It is more of a beige undertone once dispensed out of the tube. Unlike other BB creams, the color stays the same even after blended on the face. Usually BB creams are much darker when dispensed out of the tube, but goes on lighter when blended evenly. This BB cream has 2 shades along with number 2 in Radiant. Surprisingly, that one is much lighter than the first one. I find it easy to blend this BB cream all over my face, without any streakiness left behind. It has a sheer coverage that is only able to conceal my redness, but not my acne scars. It reminds me more of a tinted moisturizer rather than a BB cream. It has a semi matte finish, which I love because my face doesn't look dull and flat. 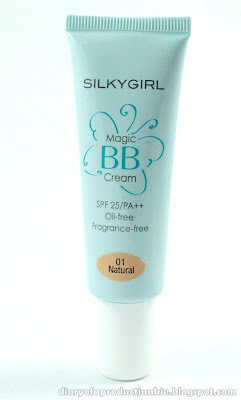 This BB cream is more of a moisturizing cream, so oil control isn't the greatest aspect. My T zone gets oily around the 2 hours marks, which is mediocre in my book. If you have oily skin and wants to try this out, I suggest setting it with a mattifying powder on top and blot every now and then. Overall, I prefer to use this for days when I want to use light makeup and still have some sun protection. Even though oil control isn't all that great, I didn't find it to be a problem since I can always blot throughout the day. hi stephanie.. beli di mana bb cream nya? waktu awal2 coba bb cream pengen coba ini juga tapi ga nemu OLshop yang jual..
kalau sama bb creamnya maybelline kira2 bagusan mana ya phanie?